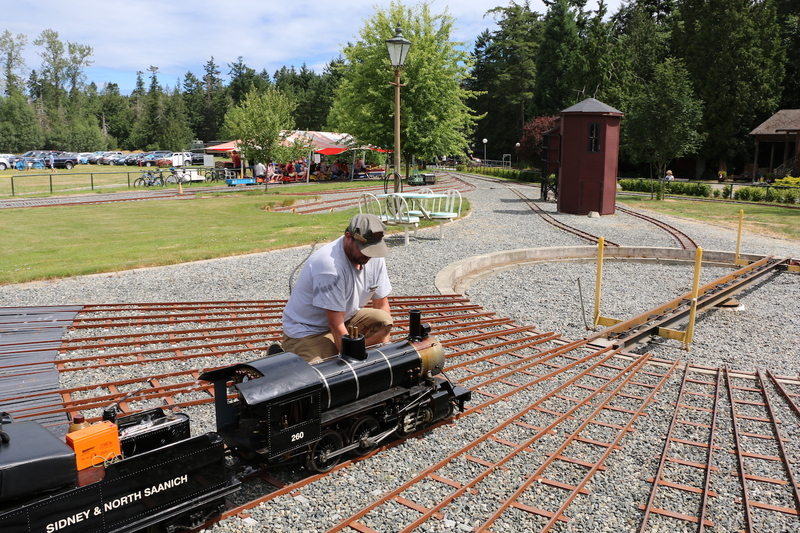 One of Victoria’s least known attractions is the miniature railway run by the Vancouver Island Model Engineers or VIME located at the Saanich Historical Artifacts Society’s Heritage Acres in Central Saanich. 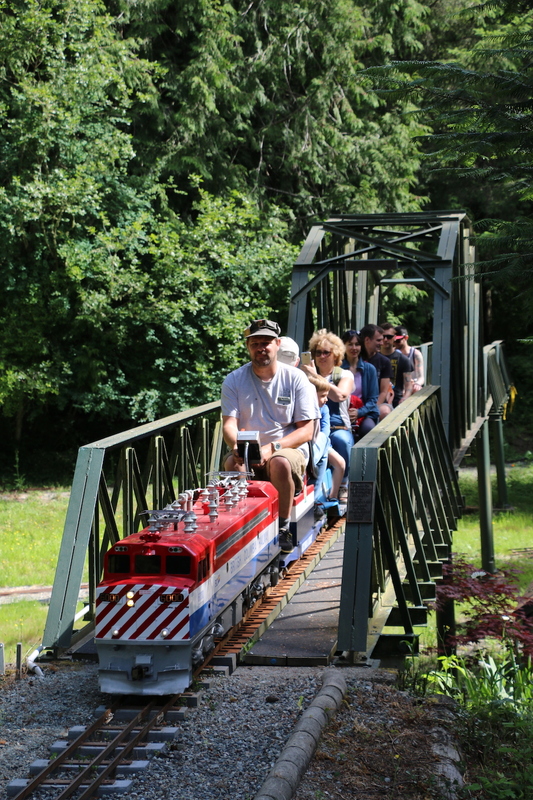 This fabulous little ride is a real treat for children of all ages. The BC Rail Electric BCR6000 model locomotive crossing one of the bridges. 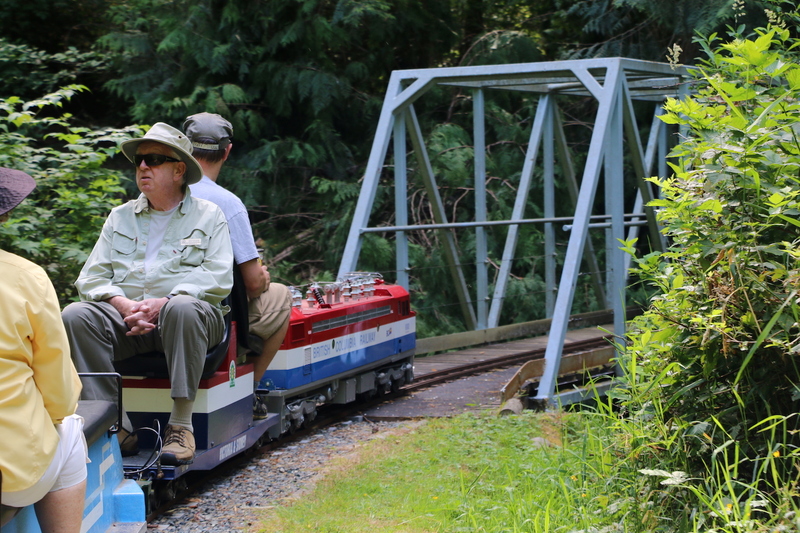 Part of the club facilities, including the roundhouse and some track, are visible from the Pat Bay Highway, but this belies the fact that the majority of the railway is hidden from view in the forest and includes over 1.2 km/ .75 miles of mainline track crossing bridges and trestles, runs through a tunnel and passes by a beautiful pond as it winds through the rain forest. If you’re a train buff you’ll love the the layout which includes multiple rail lines, switches, working road crossings and you’ll see a variety of locomotives in action from the classic BC Rail BCR6000 fully electric locomotive to actual live steam locomotives which look and operate like the real thing with incredible detail! 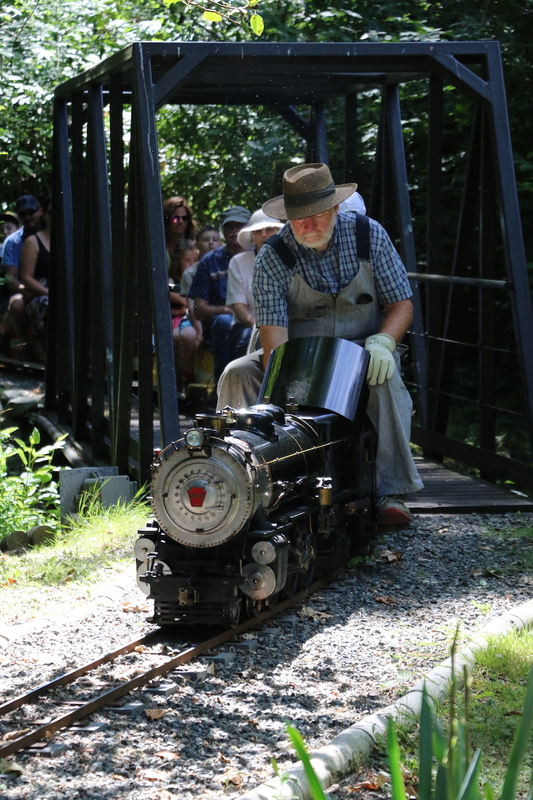 Live steam locomotive with a full load of enthusiastic riders! 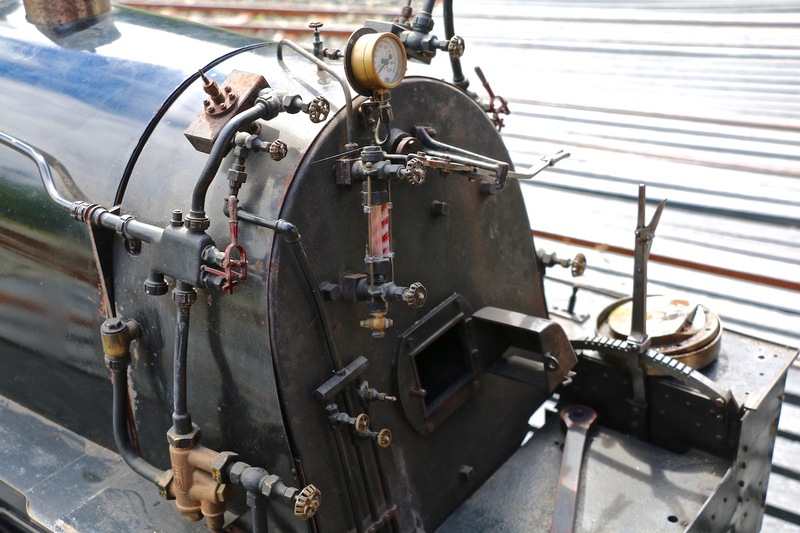 Since VIME is a private club and not a commercial tourist attraction, the trains are not running all the time. However, they do run on published dates where the public can enjoy rides with fees by donation. Listed below are the days that VIME is operating trains for public riders this year. You can see the date, time trains will run, and what the event is. 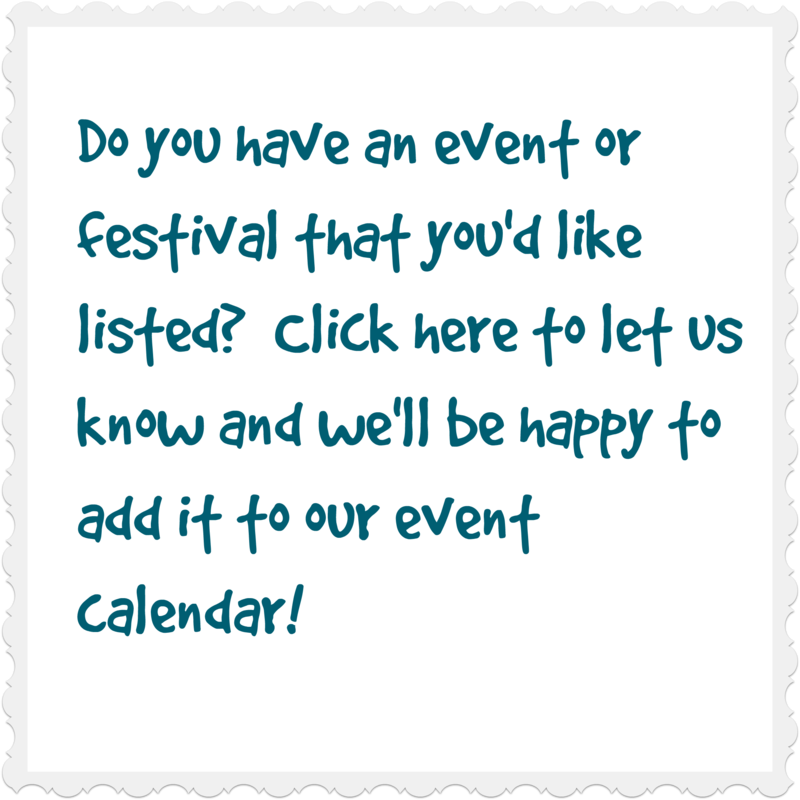 Some of the events may have a gate charge, and these are specially noted with a red asterisk (*) next to the date. 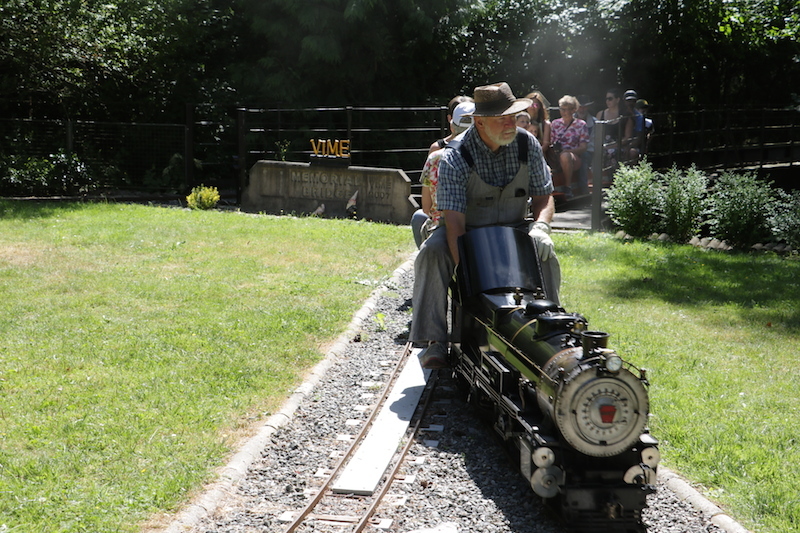 ALL VIME train rides are by DONATION, whether or not there is a gate charge. 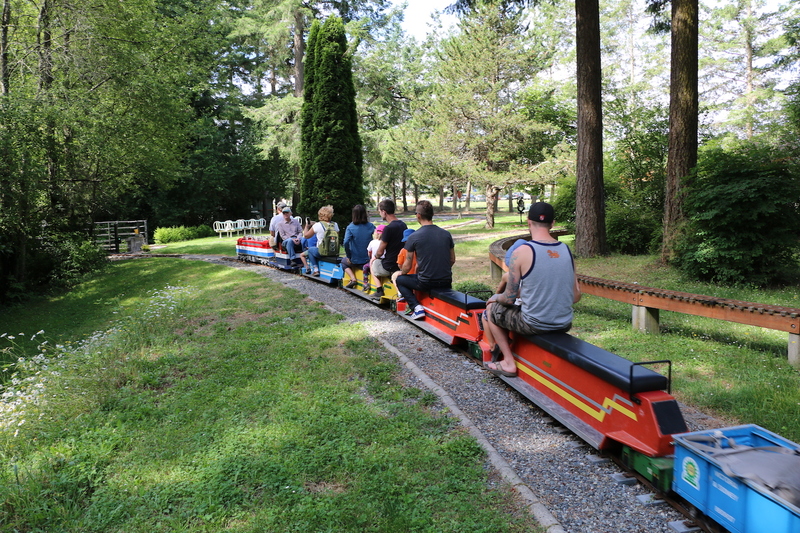 VIME also offers a limited number of days when trains may be hired for a private event such as a birthday party. For more information see our request page here. My family is coming to Victoria in June 2019 around 14-18th is the model train open during that time.